Knowledge is empowering, and your life has an energy and power all its own. However, knowledge of itself holds no power until directed toward some goal. As a naturally born psychic/empath and the myriad of powerful and insightful gifts this entails, I use the focus that Tarot provides me to promise you a compassionate insight into the energetic, spiritual and guided influences that are currently affecting your life. By 'tuning-in' to your personal energy, it is my strongest desire to give you the knowledge to empower, guide, and inspire you to live a life filled with purpose, prosperity, peace, ease, Grace, and Light. Being born empathic has always allowed me to fully experience what other people are feeling: emotionally, physically and sometimes even mentally. I don’t really care what you’re thinking as much as how you’re feeling about what you’re thinking. Every empath has guides; Spirits, angels, psychic abilities, and depending on the situation some or all will manifest to help me decipher what I’m getting about you. Because I can get caught up in the moment empathically sharing your energy, reading your situation from a psychic, or guided point of view helps me to understand the situation better – from a higher point of view. Tarot gives me a way to focus all that information into a more tangible form so I can help you to get the knowledge you need from the reading and understand what to do with it. Because I become intimately attached to your energy – feeling what you feel – the Tarot allows me to focus on the question at hand, to formulate an answer that fits with what I am feeling, seeing and sensing about the energy pervading your life.  Tarot cards are a way to focus in on specific questions regarding your situation and a simple way for me to explain what I am getting so that you may better understand your situation. My goal is to help answer your questions. Some questions you may not even be aware that you’re asking. I'm kind, compassionate, and I truly care about helping you!  I will answer questions on past, present, future, finances, career, and love, past lives, spirit guides, and animal totems. Shannon did a reading for me about a year and a half ago, she was extremely accurate about the situations in my life, including the birth of my son and a move! Shannon is kind, compassionate, and she doesn't sugar-coat things. She tells it as she sees it, in a loving way! She brought tears to my eyes, everything she told me resonated with me on the highest level. She is truly one of a kind and I highly recommend her to anyone looking for guidance! Had a Celtic Cross Tarot Card reading. It was spot on...amazing to me the issues that she picked up! I plan on doing other types of readings with Shannon and have family and friends already asking me how to get their readings :) Great Job!